'Vanessa' is a 1998 mare out of Leprechaun by Nobleman TOF, double registered with the American Haflinger Registry and the American Sport Pony Registry. Vanessa is a fun, athletic driving and riding horse who loves to work. She has competed at pleasure shows, CDEs, eventing, and dressage. 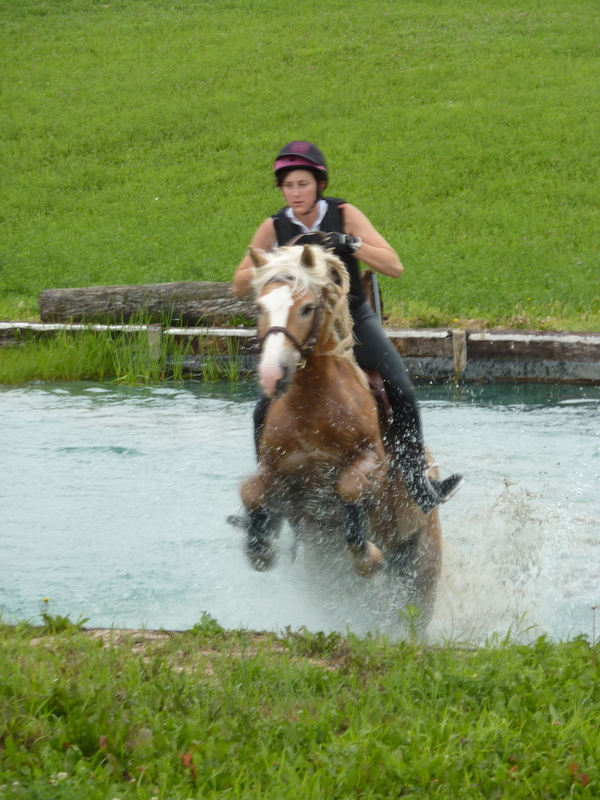 She loves to jump and won two national Haflinger jumping championships before starting her eventing career. She has been described as 'the little engine that could' by an advanced level eventer and easily schools Novice level cross country and stadium courses. She has been successfully shown at the Beginner Novice level. Vanessa is one of the steadiest exhibition horses at Happy Haflingers and regularly performs at the Midwest Horse Fair, the Minnesota Horse Expo, and the Northern Illinois Horse Fest. She was also a part of the 2008 Haflinger Owners of Wisconsin Breyerfest performance at the Kentucky Horse Park. However, Vanessa is equally at home in the show ring or on the trail. Vanessa led the Haflinger Owners of Wisconsin act at the 2010 World Equestrian Games in the Equine Village. There, she was part of a jumping exhibition as well as a drill team, and performed her part flawlessly.